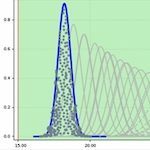 How to design with finFETs, including the impact on standard cells, IP, SRAM; the effects of fin quantization; extraction and parasitics; AMS issues and more. Intel says ‘trigate’—finFET to others—but depleted silicon-on-insulator also has its post 22nm supporters. Chris Edwards reports on the debate at 2011’s Semicon West.